Designs determine how products should be rendered visually. For Email Recommendations, they can be found under Designs -> E-mail Designs at my.clerk.io. A single Design can be used across multiple Email Content blocks. After creating an initial Design, you can change it in any way you want in the editor with the Email Template language, which is a modified version of Liquid. You can read about the Email Template Language here. The name of the Email Design, as displayed on the Designs page. Defines the width of each product in pixels. Defines the height of each product in pixels. The HTML code used to render each single product. 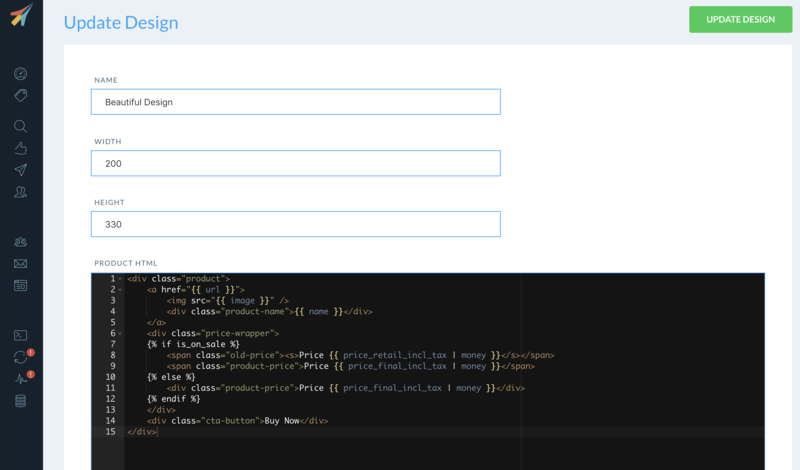 Product attributes can be inserted via the Email Template language. 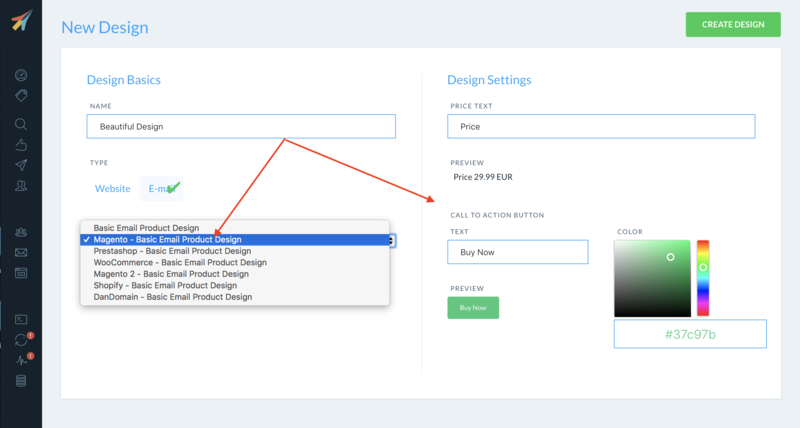 By default, new Designs come with HTML for a simple product design that renders an image, name, price and a call-to-action button. 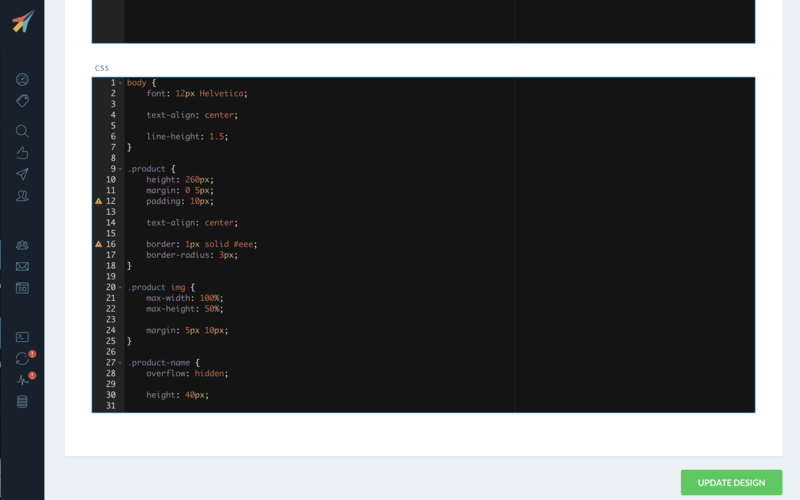 You can use this editor to write custom CSS for use in your Designs. Any CSS you write will be rendered in the products design.